Yup, I’m a curious but practical trout fisherman. So, I used to frequently dissect trout stomachs to find out what they are feeding on. Remember when you took biology and thought it was a waste of time? What I find of most value is the color of powerbait that the trout are feeding on. Without a doubt I would say it’s almost always rainbow and green colored powerbait. As many people including myself often fish with worms, I oddly don’t recall ever finding worms in any of the fish I caught. The vast majority of trout in California lakes and steams are planted, raised on trout chow, and then caught in a relatively short timeframe. I believe this is why most of the trout I’ve caught have similar stomach contents. But….. 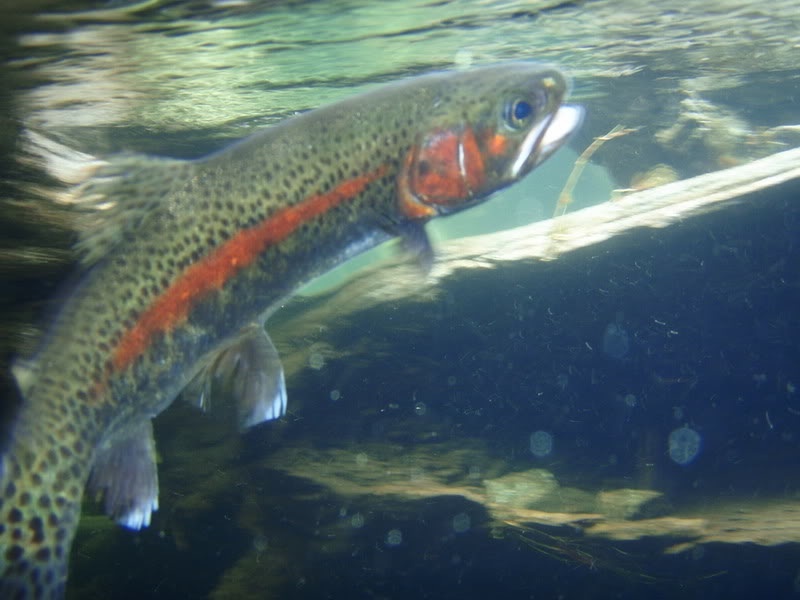 There are exceptions to this with many of the non-rainbow species that are generally not planted such as Brown, Brook, and Golden Trout. Also, at higher elevation lakes there are holdover trout and fingerlings which are planted while the fishing season is closed. It’s the opposite of Rainbows in that I don’t often find any powerbait in the stomach’s of these other trout. They feed as native fish living on insects (subsurface and surface), tiny crustaceans, and smaller fish. When fishing in these waters or targeting non-rainbows you generally need to use artificial lures that mimic bait fish or insects (flies/tiny jigs). For bait fishing I prefer to use worms, salmon eggs, and crickets (rarely – they stink). See? That biology class wasn’t a total waste of time. This entry was posted in Trout and tagged power bait, power bait colors, powerbait, trout fishing, trout stomach, what do trout eat, what's in a trout's stomach. Bookmark the permalink. I was just googling trout stomach contents because I caught a 22inch Lahontan Cutthroat today at Pyramid Lake, NV and upon cutting it open for cleaning, I saw a very large stomach. So, being curious I sliced that open to find two 3-4 inch juvenile rainbow trout inside. Quite a find if you ask me. That was a hungry trout considering that it had already eaten two smaller fish and was still going for my lure. Congrats on the big Cutthroat! That’s interesting as I’ve never seen trout inside another trout’s stomach. I think since most of the the trout (outside of brook) out here in California are ‘catchable’ plants, we don’t see that. But it totally makes sense. That’s awesome and thanks for comments.